Hmm? Oh no, I only eat ice cream in the summer. Yep. I guess you will have to finally buy some for yourself! Why is there a knife in my leg? I wonder if the snowman is happy because of the ice-cream, or if he’s just happy anyway. 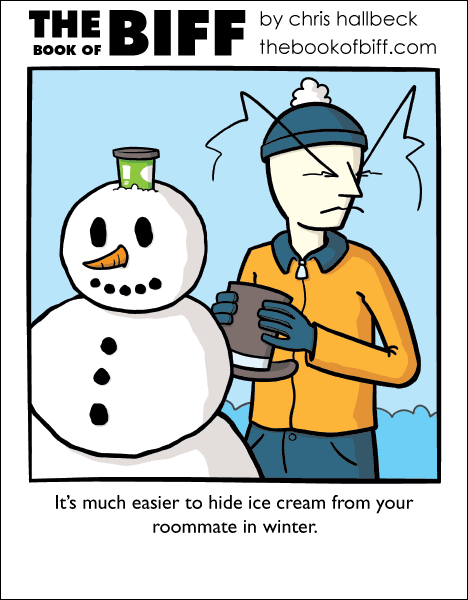 What do snowmen eat for Ice Cream Headaches?